A line of heavy-duty steel shaft collars and flange mounts that can be modified for demanding industrial, processing, and recycling applications has been introduced by Stafford Manufacturing Corp. of Wilmington, MA. Stafford Heavy-Duty Mounting Components feature robust designs with wider bodies and heavier clamping screws than conventional parts and are manufac- tured to specification with modifications such as flats, mounting holes, slots, and keyways. 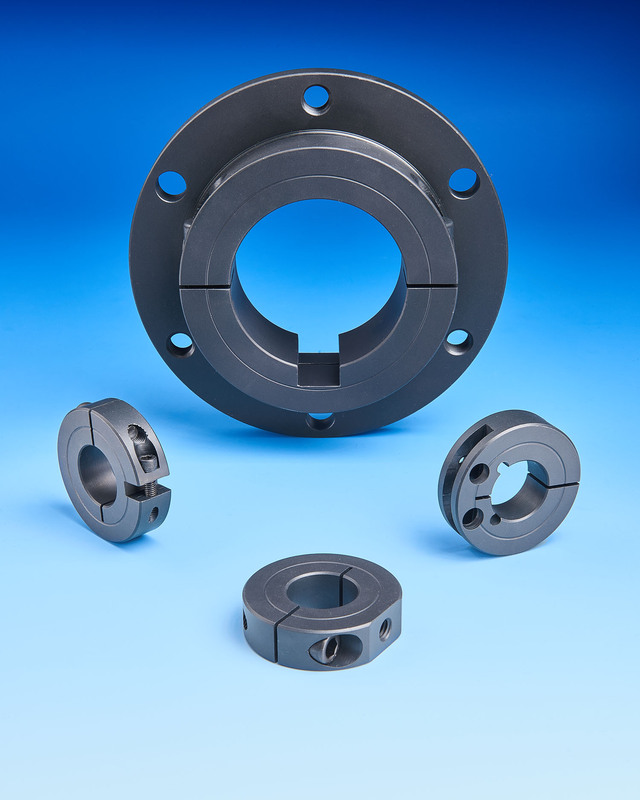 Flange collars incorporate the Accu-ClampTM non-marring clamping feature machined into a perfectly square mounting flange and the mounting collars can be configured for face or O.D. mounting arrangements. Available in 0.75” to 8” I.D. sizes, Stafford Heavy-Duty Mounting Components offer OEMs and contract manufacturers with design flexibility and can also be made from stainless steel. Mounting shaft collars can be configured to mount on flat surfaces, rails, stanchions, etc. Stafford Heavy-Duty Mounting Components are priced according to configur-tion and quantity. Price quotations are available upon request.